Can Anchor be the Youtube for podcasts? And should they? 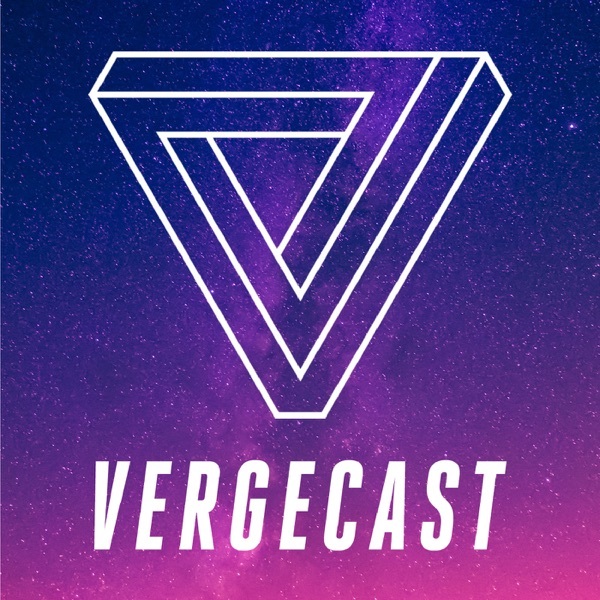 Discover The Vergecast Can Anchor be the Youtube for podcasts? And should they? Anchor CEO Michael Mignano discusses the company's recent acquisition by Spotify, the future of podcasting, and whether Anchor could become the "YouTube for podcasts." The Verge's Nilay Patel and Ashley Carman talk to Mignano about the current difficulties the podcast industry faces along with possible solutions for discovery and questioning what to do with the RSS feed. Will Apple's new foray into streaming be able to swim in the same waters as Netflix and Disney, or will it go the way of Verizon's Go90? Recode executive editor Peter Kafka and Verge editor-in-chief Nilay Patel discuss Apple's plan for streaming, news, and more.Subscribe to Recode Media with Peter Kafka. The age of surveillance capitalism author Shoshana Zuboff considers whether "data is the new oil" and explains how data collection has fundamentally changed the economy and how big companies interact with consumers. Shoshana Zuboff breaks down how to define, understand and fight surveillance capitalism. A rundown of Apple's latest product updates including the new iPad mini, iPad Air, and AirPods. The Vergecast crew Nilay Patel, Dieter Bohn, and Paul Miller also discuss Apple's upcoming event on Monday and what their new services may contain. Second half of the show features Google's announcement of their new game streaming platform Stadia. Links: - Facebook stored hundreds of millions of passwords in plain text- Apple updates $399 iPad mini with Apple Pencil support-Apple’s new iPad mini is a terrific small tablet with no competition-Apple brings back the iPad Air with 10.5-inch display and Smart Keyboard support-Apple’s new AirPods come with a wireless charging case, Hey Siri support, and more battery life-Apple will let you add 256GB of RAM to an iMac Pro for $5,200-Apple updates iMacs with new Intel processors and AMD GPUs-A brand-new AirPower image has appeared on Apple’s Australian site-What to expect from Apple’s TV and news service event-Apple’s plan for its new TV service: Sell other people’s TV services- gone90.biz-Here are the shows and films coming to Apple’s streaming service- Is this robotic therapy pet the uncanny valley of dog?-Google unveils Stadia cloud gaming service, launches in 2019-Google Stadia uses a custom AMD chip to offer 10.7 teraflops of cloud gaming power-Oculus unveils the Rift S, a higher-resolution VR headset with built-in trackingThanks to Microsoft Azure for sponsoring this episode. Get started with a free account and 12 months of popular free services at Azure.com/trial today. Facebook's former chief security officer Alex Stamos joined Casey Newton onstage at SXSW to discuss the difficult issues that plague Facebook and democracy.Subscribe to The Interface, Casey Newton's newsletter about social platforms and democracy. The Verge's Nilay Patel, Dieter Bohn, Natt Garun, and Paul Miller discuss the changes in the new Android Q beta as well as a review of the Samsung Galaxy S10, S10+. and S10E. Which phone is best? Also, Spotify files antitrust complaint over 'Apple tax' All that and much more on this week's Vergecast. Stories discussed in this episode: Android Q developer beta is available now on all Pixel devices The best early features of Android Q Every new Android Q feature we have found so farSamsung Galaxy S10E review: short, not shortchangedSamsung Galaxy S10 review: the awkward middle childSamsung Galaxy Buds review: imperfectly acceptableFacebook, Instagram, and WhatsApp are still down for some users …Facebook returns after its worst outage everFacebook and Instagram's outage cost advertisers thousands of …Spotify files antitrust complaint over 'Apple tax' Why Vivo thinks port-less phones are the futureApple confirms March 25th event, expected to announce new TV …Apple's WWDC 2019 will kick off on June 3rd Thanks to Microsoft Azure for sponsoring this episode. Get started with a free account and 12 months of popular free services at Azure.com/trial today. Breaking down Mark Zuckerberg’s letter on Facebook about its privacy-focused future. The Verge's Nilay Patel, Dieter Bohn, Julia Alexander, Casey Newton, and Paul Miller discuss Facebooks new pivot to privacy, the next move for HBO after the AT&T restructure, and YouTube's bad actors. Stories from this episode: The president just called the CEO of Apple ‘Tim Apple’Read Mark Zuckerberg's letter on Facebook's privacy-focused future …Mark Zuckerberg promises a newer, more private Facebook Facebook knows Facebook isn't the futureFacebook's pivot to privacy has huge implications — if it's realThe messy details behind Facebook’s messaging plansHBO CEO Richard Plepler is leaving the company amid AT&T …AT&T's new HBO chief criticizes Netflix, says it 'doesn't have a brand …AT&T just made its first huge changes to HBO and the rest of …Game of Thrones' final season trailer prepares us for the biggest fight …Disney is ending its vault program, giving Disney+ a huge boost in the streaming warsHow baseball’s tech team built the future of televisionDying social robot Jibo goes out with a song and a danceYouTube is demonetizing all videos about Momo YouTube's family vloggers worry about future amid comments …YouTube terminates more than 400 channels following controversy …YouTube is 'aggressively approaching' solution to child exploitation ...voxmedia.com/podsurveyThanks to Microsoft Azure for sponsoring this episode. Get started with a free account and 12 months of popular free services at Azure.com/trial today. The latest news from Mobile World Congress including Huawei's new foldable phone, Nokia's five-camera phone, and Sony's very tall phone. The Verge's Nilay Patel, Dan Seifert, Paul Miller, Natt Garun, and Chaim Gartenberg discuss which foldable phone so far has the best design, what phone can actually get 5G, and Microsoft's updated headset the HoloLens 2. Stories discussed this episode: - Huawei has the best first draft for a foldable phone- This 18,000mAh battery has a phone in it- Sony’s Xperia 1 literally stands out from the crowd with a super tall screen- LG enters the 5G game with the V50 ThinQ- LG’s palm-reading G8 has a unique vision of the future- LG’s answer to the foldable mania is a second screen- The Nokia 9 PureView has five cameras and a lot to prove- Motorola confirms its foldable phone is coming, and it could look like a RAZR- HoloLens 2: inside Microsoft's new headset- A closer look at Microsoft’s new Kinect sensor- USB 3.2 standard gets new, even more confusing names ahead of its mainstream debutThanks to Microsoft Azure for sponsoring this episode. Get started with a free account and 12 months of popular free services at Azure.com/trial today. Mobile World Congress: How should your foldable phone fold? CEO of Foursquare Jeff Glueck discusses the ethics of companies that track their users’ movements. Verge editor-in-chief Nilay Patel and Glueck further explore Foursquare's aim to help its customers become less reliant on mapping companies like Google, and how responsibly managing a user’s data and privacy is not only the right thing to do, but good for business.